Intraductal papillary mucinous neoplasms (IPMNs) occasionally form a fistula to adjacent organs, resulting in obstructive jaundice and cholangitis due to mucus obstruction. Although some procedures such as endoscopic nasobiliary drainage are attempted, they often do not work adequately because of high mucus viscosity. Herein, we report the case of an 87-year-old man with obstructive cholangitis treated by endoscopic septotomy and mucus suction with direct peroral cholangioscopy using conventional endoscopy. The patient incidentally showed a branched-type IPMN in the pancreatic head on computed tomography (CT) approximately 10-years ago. Although the patient’s tumor had grown slowly and he occasionally developed cholangitis, he did not want surgery. He was admitted to our hospital because of cholangitis by mucus obstruction with a PB fistula. Endoscopic retrograde cholangiopancreatography (ERCP) and septotomy were performed. Septotomy made the duodenal papilla a large orifice, thereby facilitating spontaneous drainage of mucus. In addition, conventional endoscopy with a large working channel enabled direct access into the orifice and smooth mucus suction, thereby alleviating his cholangitis. In conclusion, septotomy and direct peroral cholangioscopy using conventional endoscopy could be useful to control biliary tract infection and obstructive jaundice due to mucus obstruction from an IPMNs with PB fistula. 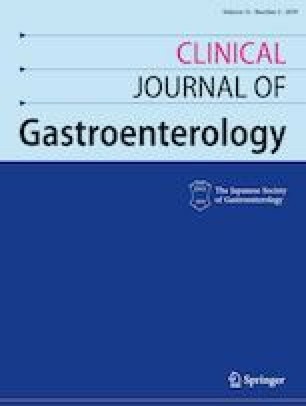 This study was approved by Tottori Prefectural Central Hospital Clinical Ethics Review Board.